In the UK we rarely think about our water supply. It is relatively easy to turn on a tap and have an instant and clean drink of water. But this is not the case in all parts of the world. Currently about a quarter of the world’s population do not have clean water to drink, despite the UN designating the last decade (2005-2015) as the international decade for action, ‘Water for Life‘. When you consider that water is essential to survival it is staggering that around 1.8 billion people still face the daily challenge of contaminated water. There are major health implications too. 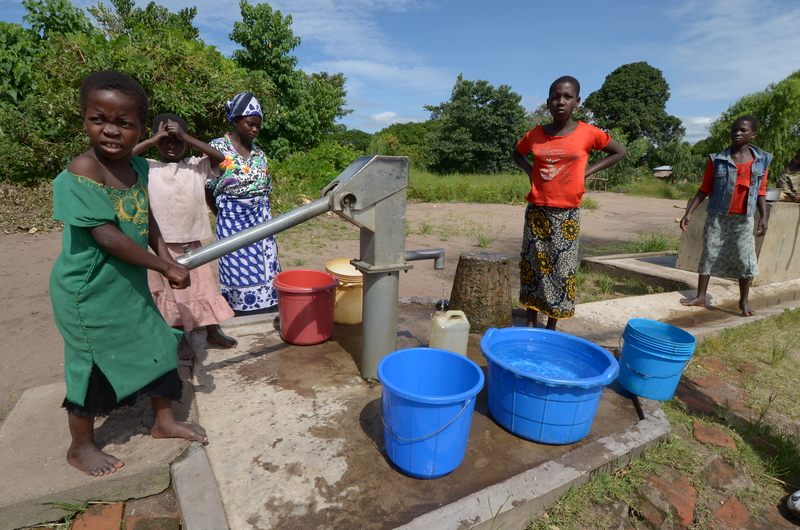 Estimates suggest 85 per cent of childhood and 65 per cent of adult illnesses are thought to still be caused by waterborne diseases associated with inadequate water supplies and sanitation, and 3.4 million people die every year from a water-related disease. It’s also amazing to think this is an issue that mankind has struggled with for millennia – and we still haven’t got it right. At a recent IChemE event (our first ever Process Safety in the Water Industry event) Jon McAteer, water and waste waster consultant at WSP CEL, gave a really valuable historical perspective on sanitation and water supply. It makes interesting reading, but also highlights what seems a snail-like pace of development. According to Jon, some of the earliest records of water treatment can be found in Ancient Greek, Ancient Egyptian and Sanskrit writings from around 2000 BC. Many of the methods recorded are similar to those we still use today – boiling, heating water in the sun, and filtering through gravel and sand. Whilst the Ancient Greeks were unaware of microbial life, they understood that clean looking and smelling water was healthier. In 500 BC Hippocrates is credited with inventing the practise of sieving water and created the first water bag filter the ‘Hippocratic sleeve’. The middle ages were the dark ages for water treatment. Despite the advances implemented by the Ancient Greeks, Egyptians, Indians and Romans, this all dropped out of use and there was no water treatment development. Treating water took off again in the 1700s in Europe with the first water filters for domestic application made from wool, sponge and charcoal. The discovery of microorganisms by Anton van Leeuwenhoek in 1676, the inventor of the first microscope, opened up a whole new world of thinking about water contamination. The breakthrough that cholera was spread by contaminated water, identified by John Snow in 1854, led to the widespread use of chlorination of water to kill bacteria. When Louis Pasteur demonstrated the ‘germ-theory’ of disease in the 1880s, this confirmed that microscopic organisms could transmit disease through water. In the western world, concerns about drinking water in the nineteenth century and early twentieth century were focused mostly on these disease causing microbes. The 1970s saw the United Nations proclaim 1981-91 as the International Drinking Water decade and the emergence of new technologies like membrane filtration, reverse osmosis and UV disinfection. Despite all these breakthroughs and technologies through the ages, the collective failure to provide clean water in the twenty first century feels like a breach of human rights. But at least chemical engineers can do something about it. The design, running and maintenance of wastewater treatment facilities need chemical engineers. The provision of clean water needs chemical engineers. Where infrastructure exists chemical engineers have turned their attention to other issues including dealing with disinfection by-products and pharmaceutical contamination. Others are looking at new ways to remove arsenic from water by locking the contaminant away in building materials. In IChemE’s technical strategy – Chemical Engineering Matters – water features heavily and provides a clear direction on how chemical engineers can work together to improve the quality of life for tens of millions of people. Suggestions include focusing on low cost, efficient processes to remove contaminants from water and improving the sharing of best practice. Without chemical engineers it is unlikely that we will ever realise the human right to a clean water supply. Just another example of why chemical engineering matters. Are you helping to bring fresh water to communities around the world? Please contact us and tell us your story.